Bikes Not Bombs’ International Program works in Africa, Latin America and the Caribbean. In Jamaica Plain, it is well-known for its youth programming and retail bike shop, where you can buy some of the bikes refurbished in Earn-a-Bike and other programs. You can support Bikes Not Bombs by donating an old bike or supplies for programs. 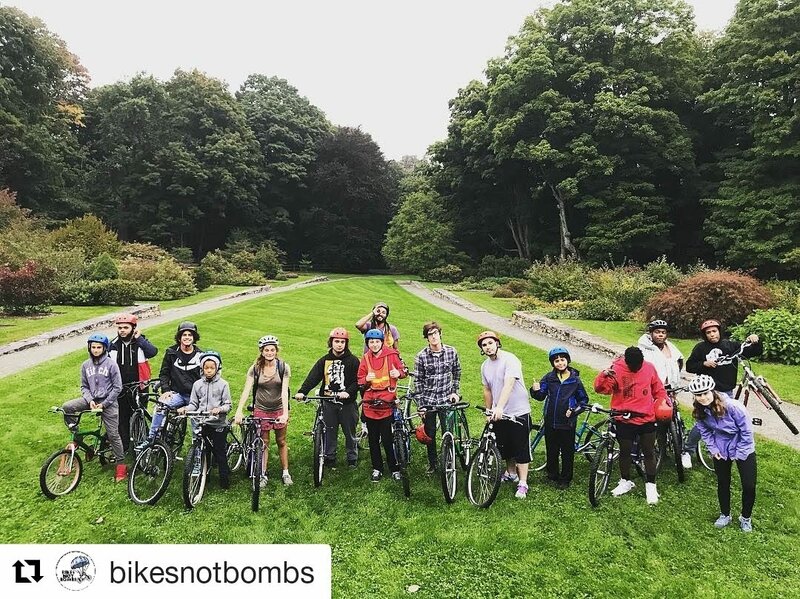 You can drop bikes off at The Hub at Bikes Not Bombs’ headquarters, located at 284 Amory Street in Jamaica Plain or at The Shop at 18 Bartlett Square nearby. Many people donate at community bike drives, which are coming up in Dedham, Arlington, Pembroke, Dover, Billerica, Belmont and Northampton in October and November. See the full list of bike donation events on the Bikes Not Bombs’ website. Our Boston personal injury lawyers are committed to protecting cyclists from serious head injuries. After years of representing injured cyclists, we know that traumatic brain injuries and head injuries are a risk to all cyclists, even those who wear helmets. But a helmet is the most effective way to protect yourself. Through our Project KidSafe, we hope to encourage children to wear helmets throughout their lives. When one cyclist wears a helmet, they have a positive impact on other cyclists. According to one study, children wore helmets 90 percent of the time when adults did. Just 38 percent of children wore helmets when adults rode without one. Children in states which require youth to wear bicycle helmets – such as Massachusetts – were also more likely to wear helmets. In Massachusetts, the law states cyclists age 16 and younger must wear helmets. Visit our website to learn more about our attorneys. If you have been injured in a bicycle accident or a dooring accident, we are here to help. Our attorneys have represented cyclists after catastrophic accidents, in Boston, Cambridge and across the state of Massachusetts. Our clients call us the best personal injury lawyers in Boston and we have been recognized by Top 100 New England Super Lawyers, Top 100 Massachusetts Super Lawyers and by The Best Lawyers in America© 2019. For a free legal consultation, contact our attorneys at 800-379-1244 or 617-723-7676, or send us a message through our contact form.